Several rodent species have successfully adapted to the harsh and arid environments of the local desert, though they are rarely seen. The majority remain hidden underground during daylight hours to avoid the hostile surface conditions, and emerge only at dusk or at night. In years of good rainfall numbers tend to increase as more plants are available to supplement their dietary requirements. 1982/83 was the last time that a significant population explosion occurred in the case of Cheeseman's gerbils along the Abu Dhabi to Suweyhan road. It was noted that there, were many more road casualties than in previous years. Such road casualties can confirm the existence of a species in the vicinity and so should be recorded. Desert rodents live in quite extensive burrow systems, sometimes forming large colonial groups. As food requirements differ, some species can co-exist when the habitat is suitable. Several inter-connecting tunnels are dug, some blind, others open to the ground surface,. usually under bushes or grass clumps. Some tunnels may be emergency exits, ending just below the hard surface crust. 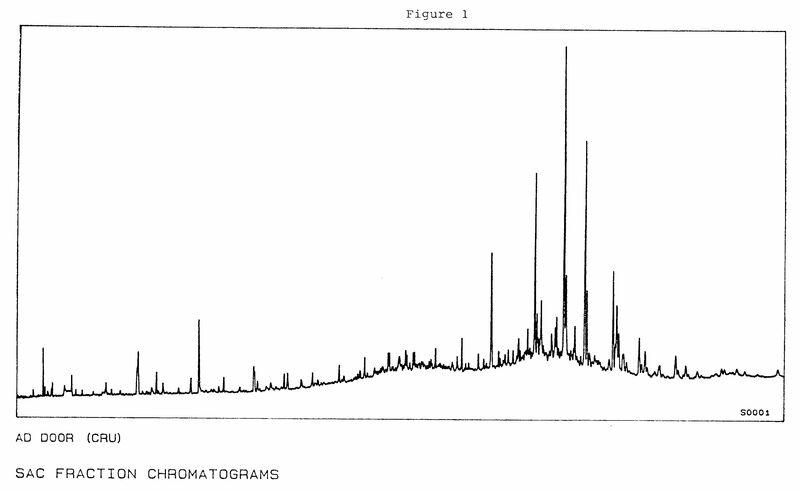 Jerboas or gerbils (at present unidentified) were found in the digestive systems of four different species of snake recently (Arabian Rear-fang Malpolon moilensis, Sand Boa Eryx jayakai, Saw-scaled Viper Echis carinatus and Sand Viper Cerastes cerastes). 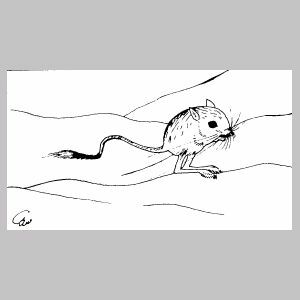 Twenty-five years ago in Kuwait, my son pushed a broom handle down a jerboa hole and I was very surprised to see a jerboa burst through apparently solid ground with a distinct 'plop' some three metres away. It covered about 10 metres in long hops before disappearing down an open hole under a bush. Investigations have shown that the micro-climate in the living quarters can be controlled by modifying the length and depth of the tunnels, varying the amount of soil seal at entrances or by taking plant material underground. The temperature remains considerably lower and the humidity higher than the conditions on the surface. Many rodents may become inactive (aestivate) during the very hot months or they may hibernate during the cold months. Most desert rodents are light in colour with buff, greyish or sandy coats enabling them to blend into their surroundings. The coat also provides thermal protection and reflects heat. To enable them to hunt for food in the dark and to avoid predators they have very large eyes and a keen sense of hearing (hence relatively large ears). Long, spindly hind legs, sometimes four times as large as the front, enable jerboas and gerbils to scan their surroundings for the approach of predators. Those with long hind legs have adopted a more or less bipedal jumping form of locomotion. When chased by predators they use both feet in conjunction and leaps of up to 3 metres are attainable. Sudden changes of direction are aided by the long tail which streams backward on takeoff and is raised for landing. The tail acts as a counter balance, rudder and brake during running and a prop when at rest. When seed hunting movement is by short hops, leaving an imprint of two front feet close together or touching with the wider-spaced rear feet close behind. Rats and mice have retained the normal four-legged form of locomotion. The head, back and sides of the body are orangy-brown on the surface but grey when the hair is parted. The underside is mainly white. The eyes are large and all black. It has long white whiskers from near the snout while the ears are brown with grey tips. The long tail is sandy brown on top and grey underneath with a final tuft of grey or dark brown ending in a white tip. The rear feet have three toes and all feet have prominent tufts of white hair beneath. One specimen found dead on a road near the Jebel Ali Hotel on 3rd November 1988 has been mummified with partial success. The habitat along the road is sandy with scattered vegetation including Zyqophyllum hamiense, Halopeplis perfoliata, Heliotropium kotschyi and a variety of grass species. It has also been recorded at Buraimi and Ras al Khaimah. The body is light sandy orange on the back and sides with white under the chest and belly. The tail is long, sandy-orange on top, white underneath with a long white, hairy tuft. The rear feet have five toes fringed with white hair and the soles are covered with white hair. This species differs from G. cheesmani by its duller fawn brown colour, naked soles to its feet and darker grey tail tuft. It is crepuscular and nocturnal, forming colonies in saline flats and semi-desert terrain. Wagner's Gerbil is strictly nocturnal and is not colonial. It is difficult to distinguish from G. nanus externally. 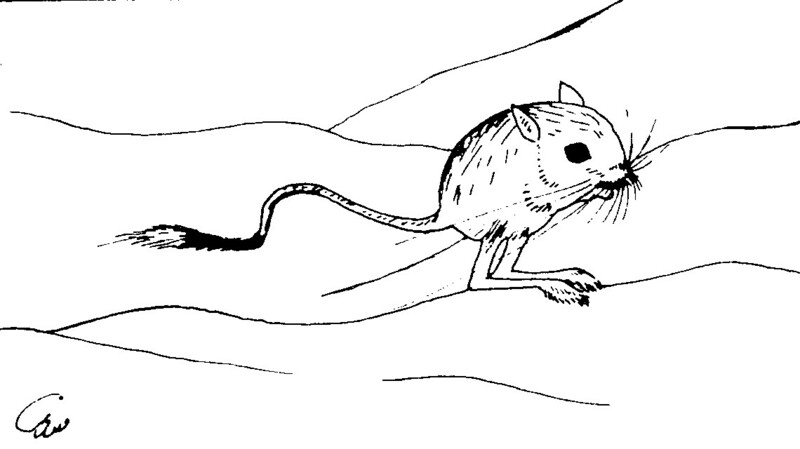 A colonial jird, which tends to be diurnal. It is somewhat larger than the other gerbils and is darker buff in colour. The long tail has an extensive black tuft and the claws are also black. It is known to eat the bitter round gourd of Citrullus colocynthis, which is generally avoided by most other animals. The tail of this species is equal to or longer than the head and body combined. The body colouring is yellowish brown with white underparts. From midway down the back to the tail there is a spiny protective tuft of stiff hairs. It prefers a rocky habitat and its activity is mainly nocturnal or crepuscular. This is a very varied mouse in size and colour. It is one of the smallest rodents in the area. Specimens in the Group collection are greyish brown. As its name implies it is likely to be found in houses or around human habitation. A colony was reported in 1979 by John Rowland on the island of Sir Bu Nu'air. They were probably introduced during the time of active iron ore mining on the island in the earlier part of this century. A very tiny subspecies M. m. gentilulus was recorded from the UAE by Harrison (1). Both of these species have probably been introduced through the seaports. They are most likely to be encountered only along the coastal strip and on some offshore islands, though road transport across Arabia may have spread them more widely in recent years. The Brown Rat is more heavily built and the tail is always shorter than the head and body. It is an overall dull buff-brown colour, the belly being whitish with greyish hair bases. They are mainly terrestrial and not active climbers. The Black Rat is usually much slimmer in build and the tail is always longer than the head and body. Colour is variable, being brown or grey-brown with a white or slightly creamy belly. It is alleged to be an active climber. Rats are well-known carriers of diseases hazardous to man. They have been seen in Abu Dhabi, but the exact species has not been identified. In 1987/88 several large nests were seen in the tops of high Zizyphus and Eucalyptus trees in the city's Bateen Wood. One nest was at least 40 feet above ground. They were constructed of quite thick branches and leaves. The road and sewer pipes alongside the wood were being dug up at the time. Adrian Chapman and David Robinson reported that they had seen rats climbing the trees and emerging from the nests. There was a strong possibility that this was a way of adapting to the disturbance by the road makers. Alternatively, they may have been looking for food such as eggs or young birds. A similar situation was reported from Jebel Ali a couple of years or so ago. Very few reports of rodents are received by the Group, probably due to the difficulty of identification and the fact that most are nocturnal. Many people are squeamish about collecting or measuring dead specimens. Unless more people are prepared to record sightings or specimens, however, our knowledge of local species and distribution patterns will remain incomplete. The Mammal Recorder is always pleased to have recordings, preferably with a brief description. 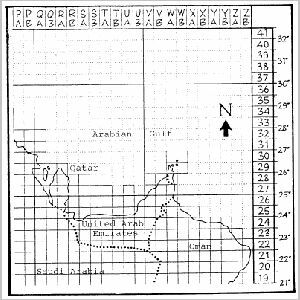 The Square numbers shown are the same as those used in the Atlas of Breeding Birds in Arabia (see below), which is in preparation. They are based on degree latitude and longitude squares with sides of approximately 50 kms. Copies of all three books are in the Group's reference library.